Wow! It has been a while, hasn't it? Hi, everyone! Welcome back and thank you for being with me. 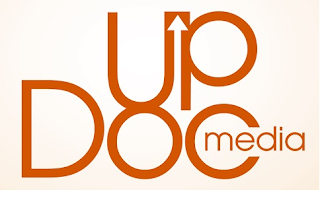 That's right, I've joined the great folks at UpDoc Media to serve as their Chief Content Officer. It's wearing a lot of hats and grinding out the "how" behind the "why" -- and -- it has been a lot of fun. I've been able to guest host the very popular Therapy Insiders podcast and get behind the scenes into what it takes to start up and establish a digital business. So anyway, that is what has been going on with me. On to the post! Today's Life Experiences post covers my top five scary but awesome moments in life. They range from adventurous, to plain stupid, to the feels. Please share with my enjoyment in...! 1. Snowboarding down a glacier. In the early 2000s, I was really into snowboarding. It was a progression from my middle school and high school skateboarding years. Snowboarding was the obvious next step. I got really good in a season and began to tackle Californian black diamonds with ease. What I did not understand, was that Californian black diamonds are more like the blue diamonds... just about anywhere else. In this same time frame, I took a snowboarding trip up to Whistler and Blackcomb up in Vancouver, Canada. It was amazing. The slopes never seemed to end and I can't even remember taking the same trail twice. That was how big the mountain was. Well, for one of the runs, we went up to the very top of the mountain. And, it happened to be a glacier. The snow was tinted blue as the way glacier crystals form, they bounce back a lot of blue light. It was actually snowing up there and the visibility was getting lower by the minute. 2. Getting ran over by an elephant. Almost. In the later years of the 2000s... closer to 2008 or so, I took a trip to Africa. Tanzania to be precise. The trip wasn't so much for pleasure as it was me being a stressed out protector/body guard type situation. It was fun, though. And, terrifying. Well, stereotypically as it would be, we ended up taking a safari into the Ngorogoro Crater. It was something like a real life snippet from the Lion King. In part of this trip, an elephant decided it was interested in our Range Rover. There was an issue however. The girls in the group decided to shout greetings to the elephant. However, elephants don't really like high pitched noises. As it got closer and ready to charge, the girls screamed. Even worse. Finally, our driver and guide basically told us to ST*U before we actually did get run over by the elephant. 3. Hiking in a forest jungle maze. While I don't remember this so clearly, I do remember it was during my pre-teen childhood. In a trip to Taiwan, our family went to hike in some jungle forest park which resembled a mix of Kashyyyk and Endor from Star Wars. It was all fun and games until we got to the point where the "hike" was traversing mossy fallen trees to get from cliff to cliff and area to area. One wrong move and you would've fallen 20+ feet into really nasty crevices or jungle streams with who knows what was swimming in there. Outside of being devoured by Asian mosquitoes (you know what I mean... those genetically crazy big ones from the age of dinosaurs) -- and -- with the prospect of falling to one's doom, it was actually an exhilarating trip. Well, as life progressed, I moved from snowboarding to surfing. I had already been surfing for quite some time; but, it just seemed much more normal as a San Diegan to make surfing my mainstay of leisure times. Well, during the late 2000s, there was some huge surf that came through in the winter. If you YouTube anything about big surf in 2007 and 2008, you'll see some inhumane footage of surfers in waves the size of buildings. Well, I was one of the idiots that tried. Not the very huge ones. The little huge ones. Pacific Beach (PB) Point is one of those rare gems in San Diego where the break goes from a reef point and down into the beach, southward into another sandbar break called Tourmaline. This wave, under the right conditions, lasts about 30-45 seconds. It seems like it's going to close out and swallow you whole. But, thanks to the reef formations, the wave just keeps it forms just like a video game. I rode this wave three times before deciding that it'd be good not to tempt fate. Suffice to say, each time I paddled out, it was a true question of if I was actually going to be able to make it past the breakers. And, every time I paddled to catch a wave, it was another true question of if I was going to make it down the face of the wave. Great times. But, never to be repeated. 5. Holding my son for the first time. Awwww.... the feels! You always hear about it, life changes when you hold your first child. It was definitely true for me. Nathan wasn't screaming, however. And, it was a little scary as I wasn't sure if he was breathing properly. Quickly, he turned blue in just a few seconds. They took him to the table, got some fluid out of his mouth, and in a snap he turned red, then angry, then sad, then happy once he was with mommy. Then he sneezed once. It was cute. So................. That's it! Those are my Top 5 Awesome Scary Life Experiences. Thanks for joining me in this little story time share. Talk soon & see you next time!